Welcome to the first post in a new series. In this series I take a close look at 3 Microsoft applications that help people in their Project Management efforts. As a consultant for Microsoft Project (Server) I come across the different maturity levels and I wanted to share my thoughts on the applications and their usefulness in different scenarios. 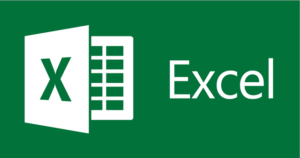 Today I take a look at Microsoft Excel. Who doesn’t know the basics of Microsoft Excel? Just like the other Office applications, most people know their way around this tool. They know basic calculations, formatting cells and creating stunning graphs. The newer versions of Excel have very powerful and very extensive calculation posibility (www.powerBI.com). However, the tool was not originally intended to be used for scheduling your projects. Adding tasks and rows with duration or work is very easy. But what are the results for the whole schedule? There are some very interesting examples of projects using Excel, here are some video’s I found that look inspiring and could help you out. Excel lets you create elaborate schedules with nice color bars to “simulate” a GANTT chart, but without macro’s or other customization you will find it difficult to keep track of the schedule as a whole. Whenever a task takes more time to complete you would have to update the entire schedule manually, and don’t even get me started on the workload and tracking of work complete / cost complete values. Excel is a very good tool to analyze data and represent it in nice (pie)charts or tables. It’s no wonder that MS Project itself uses Excel templates to create nice analysis dashboards (examples are available in the TPC_OneDrive). Only Project Server and it’s universe of reporting functionality can rival Excel at reporting capabilities, and I will get to Project server in another post. Poor, at best. You can represent a Excel file on a file share location or SharePoint. And you are even able to set up some versioning and change tracking. But Excel is not a tool that gives you a lot of other options for sharing the Schedule in a secure way. I am a firm believer in the statement that to work with a tool is to require training in that tool. Be it operating an airplain or a smart phone… every tool holds a wider span of usefulness once you have had at least basic training in it. This goes for Excel as well. Even though everyone claims to “know what they need to know” there is a good possibility that Excel can do it easier, faster and better once you had a training. This being said, Excel will require a minimum of training because most people are already confident with the basics of the tool. In the overall score section I will take the chapters above and rate them from 1 (not at all positive) to 5 (very positive). I gave Microsoft Excel a 3,2 score, which can be described as “moderately appropriate tool for Project Management”. You might not agree with this score should it be higher, or lower, and why? Please let me know in the comments. My next post in the series will be about Microsoft Project and I will close the series with Project Server / Project Online. When the posts come available I will add links to this final notes section. Previous Previous post: What are the best tools for project management?